Dallas and Allyn were married in September at the Mt. Diablo Unitarian Church in Walnut Creek. We were lucky enough to photography their wedding and we can not remember a more genuine and heartfelt couple. Their friends and family put together an amazing ceremony with several touching performances. 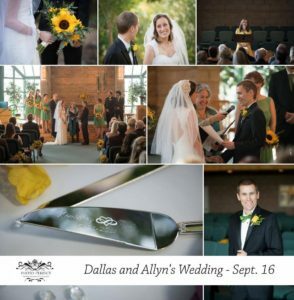 Dallas loves sunflowers and the yellow and green colors for the wedding were certainly a signature item throughout the wedding.